Our mentors are friendly, experienced Go developers who will help teach you new techniques and tricks. 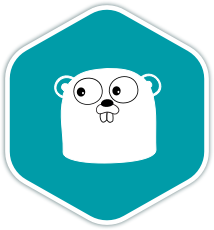 Fans of Go (called gophers) describe Go as having the expressiveness of dynamic languages like Python or Ruby, with the performance of compiled languages like C or C++. The language is open source, and was started by engineers at Google. It's written using a C-style syntax, has statically typed variables, manages memory using garbage collection, and is compiled into stand-alone executables. Go is noted for the concurrent programming features built into the language core, the networking packages in the standard library (such as a web server), fast compilation and execution speed. Its simple, minimalistic and consistent language design make for a delightful experience, while the abundant and thoughtful tooling addresses traditional problems such as consistent formatting and documentation. The home page for Go is golang.org, and there is an excellent interactive tutorial at tour.golang.org. Once you join the Go language track, you will receive support and feedback from our team of mentors. Here are the bios of a few of the mentors of this track. I've been programming in many languages both professionally and as a hobby. I really like Go for its simplicity. Comming from C, Go has recently been my go-to language. I've been using it for my personaly projects and recently introduced it at my workspace. I find Go to be a pleasure to work with. I've used it professionally as well as for many personal projects. It's my go to language for command line tools, and simple APIs. I'm a backend engineer and a long time rubyist turned gopher. I have really enjoyed learning Go and embraced its simplicity. Go is a fantastic language for me. We have the Go community in Thailand is growing. I enjoy writing Go for its simple, minimalist syntax. Mentoring in Go is a joy, thanks to its opinionated nature ('The Go Way'). I write and review Go professionally, as well as in side projects. These are a few of the 108 exercises on the Go track. You can see all the exercises here. The Go Maintainers are the brains behind the Go Track. They spend their spare time creating interesting and challenging exercises that we can all learn from. We are incredibly grateful for their hard work. Here are the bios of a few of the maintainers of this track. Get started with the Go track. As with everything on Exercism, it's 100% free!